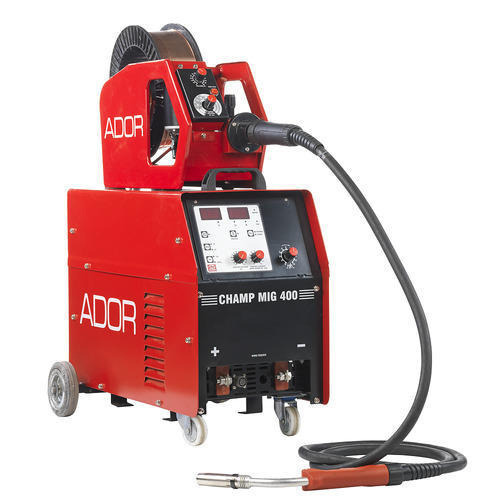 We are known as the reputed organization in this field of operation, engaged in offering a wide array of excellent quality Ador MIG Welding Machine. Widely demanded in manufacturing industry, garage, etc. Incepted in the year 1974 at Kanpur, (Uttar Pradesh, India), we “Galvin International” are a “Sole Proprietorship Entity” and well-renowned Distributors, Wholesalers and Traders of a comprehensive range of Welding Electrodes, Welding Accessories, Welding Machine, MIG Welding Accessories, Tig Welding Accessories, Power Tools, Safety Product and Road Safety Products. Under the guidance of our mentor “Mohit Bhartiya (Proprietor)”, we have attained a distinct position in this competitive industry.We are the foremost Distributor, Trader and Wholesaler of excellent quality Welding Fixture, Welding Regulators, Welding Rods and Welding Curtain.